Roane County is home to the nation's top research lab - Oak Ridge National Laboratory and the pioneer in renewable energy technology - Proton Power; here you will also uncover our fascinating past that changed our world; while enjoying inviting waterways, a robust recreational life, and breathtaking vistas. Discover how the best of Tennessee all comes together in Roane County. Located in the Knoxville/Oak Ridge Innovation Valley, a high-tech corridor and regional economic development partnership. Has ready Infrastructure; 8 designated exits on I-40 and only 3 miles from I-75; and 3 navigable rivers with 4 river terminals/barge facilities. Has pro-business state, county and city officials. 25 minutes to Knoxville and a commercial airport, 1 hour to Chattanooga or Pigeon Forge, and approximately 2 hours to Nashville or Asheville. 56,000 acres of recreation that includes 16,000 acres of public parks and wildlife areas surrounded by 39,000 acres of water set against the backdrop of the Great Smoky Mountains National Park. 4 true seasons and generally mild temperatures. Home to Watts Bar Lake with 700+ shoreline miles are among the least developed in the state with affordable lake property still in abundance. 5 industrial and business parks with many types of sites available, including three state-certified industrial sites. School system aligned with post-secondary opportunities designed to meet growing workforce demands, closing the skills gap and continuing the 75-year legacy of having a workforce unmatched in skill. Gateway to the Manhattan Project National Historical Park, with two of the sites in the Roane County portion of Oak Ridge. Tennessee has a triple-A bond rating, the most recent sale at the lowest historical interest rates; and the state has no personal income tax on wages and salaries. Convenient, affordable lifestyle with easy access to quality healthcare, an active volunteer community, and opportunities for second careers for retirees. 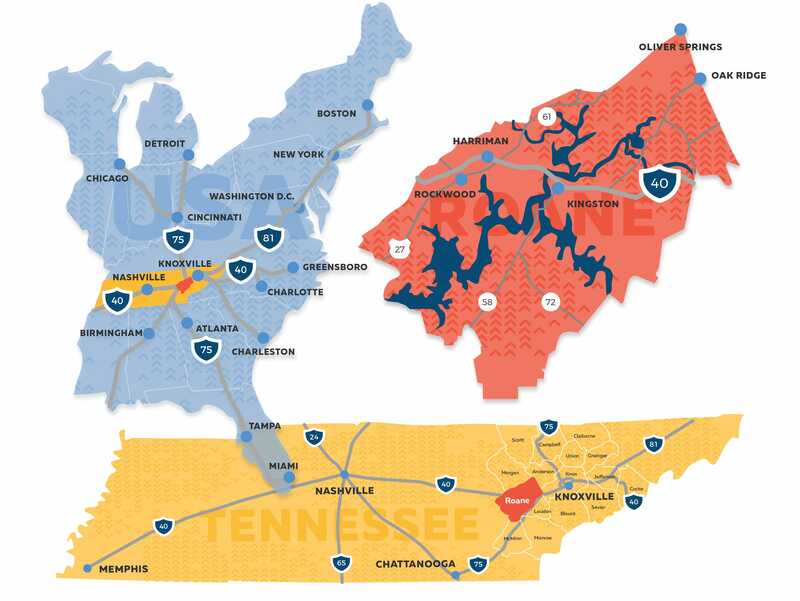 With Tennessee's Innovation Corridor as the gateway to the Manhattan Project National Historical Park, Roane County's local infrastructure, strong economic climate and high quality of life make it an attractive choice for expansive opportunities. Whether you live here or visit, you'll enjoy family-friendly festivals and sporting events, live music and the arts, stunning Watts Bar Lake with world-class fishing, and historic towns and museums. The Roane County Chamber of Commerce works to enhance the lifestyle and business climate of Roane County and to promote existing business and industry. Our mission is to create an environment and unified voice that promotes job creation, economic development, enhanced quality of life, education and workforce development across Roane County. A Unified Drive. A United Force. 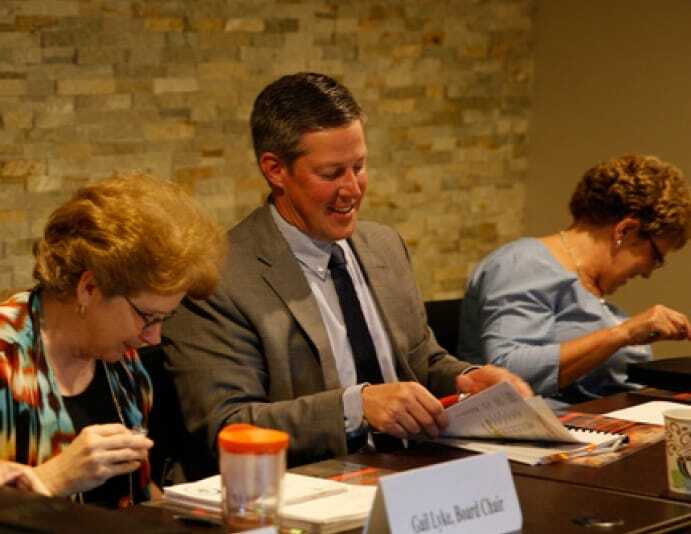 Through the Industrial Development Board, the Visitors Bureau, Roane Chamber and programs such as Education Matters and Retire Roane we work to represent the best Tennessee has to offer businesses, citizens and travelers. A unified Voice. A collaborative effort. Roane County’s outstanding location, ready infrastructure, educated workforce, available industrial sites and established resume of success in retail, tourism and industry have been key factors in its economic growth and success. In the 1700s, Westward-bound settlers traveled Avery's Trace and discovered fertile land with magnificent mountains and rivers, now known as Roane County. Today, you'll still find discovery in our unique communities - Harriman, Kingston, Rockwood, Oliver Springs and Oak Ridge - settled among our abundant natural resources. 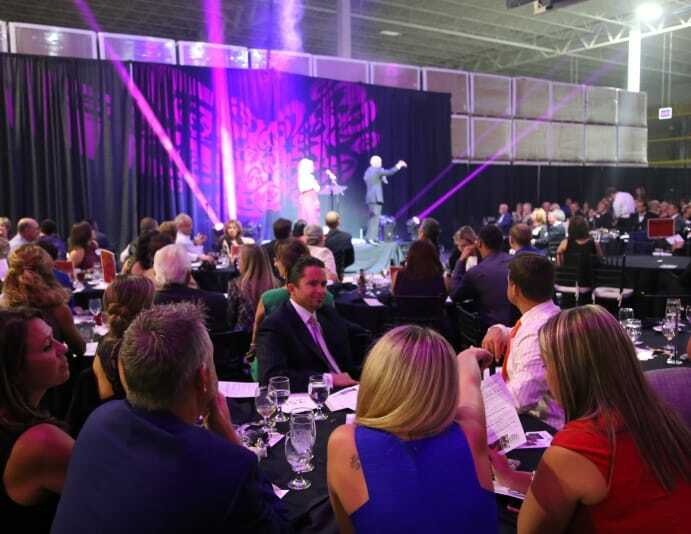 This year's Roane Alliance Gala was one for the record books. A Unified Drive. A United Force. Roane Alliance 1209 N. Kentucky Street, Kingston, TN 37763 | PH.865-376-2093 | FX.865-376-4978 | Toll Free 1-800-FUN-IN-TN | Website by Designsensory.